Free jazz” may be a genre, but it certainly isn’t the economy in New York – the rift between avant-garde and institutionalized bop has never been greater. Fewer and fewer clubs can afford to host gratis jazz nowadays because the audience is showing a lack of sustainability; a 2008 survey by the National Endowment for the Arts (NEA) revealed that the media age for American adults who attended a jazz concert was 46 (up from age 29 in 1982). What’s more, jazz sales make up just 1.1 percent of all record sales. So it’s exciting to hear that one of the city’s most prestigious annual jazz events will be available to all fans this year. Today, Jazz at Lincoln Center announced the release of free tickets to 2011 NEA Jazz Masters Awards Ceremony and Concert, will be available to all fans this year. This year’s honorees are a bumper crop of greats: flautist Hubert Laws, saxophonist/flautist David Liebman, and composer Johnny Mandel. Finally, the NEA will bestow their first-ever group award to the entire prolific, genetically blessed Marsalis Family: Ellis Marsalis, Jr., Branford Marsalis, Wynton Marsalis, Delfeayo Marsalis, and Jason Marsalis. 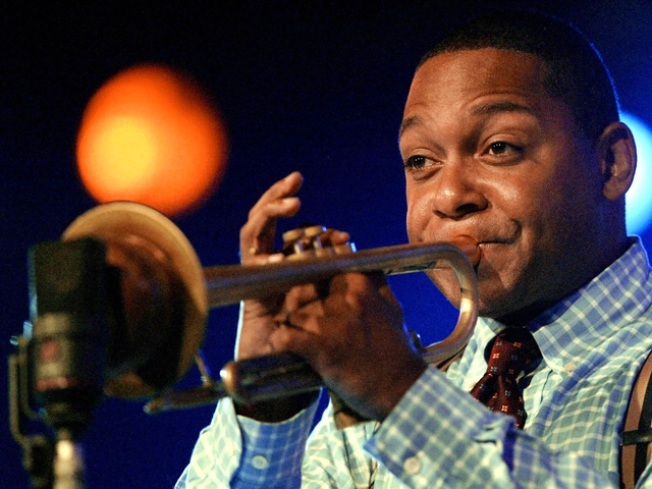 (Pulitzer Prize recipient Wynton is the artistic director of Jazz at Lincoln Center as well as one of the city’s most passionate jazz advocates and author of numerous books, including 2008’s charismatic Moving to Higher Ground: How Jazz Can Change Your Life.) Producer and writer Orrin Keepnews will be awarded the A.B. Spellman NEA Jazz Masters Award for Jazz Advocacy Laws, Liebman, and the Marsalis clan are slated to perform. The ceremony will be an unprecedented opportunity to hear the greats together; the inevitable all-star jam should be tremendous. Tickets can be reserved online or in person at the Jazz at Lincoln Center Box Office, located at Broadway at 60th Street, Monday through Saturday, 10 a.m. to 6 p.m., as well as Sundays, 12 p.m. to 6 p.m. Limit two tickets per person. The 2011 NEA Jazz Masters Awards Ceremony & Concert is January 11, 2011 at Rose Theater in Jazz at Lincoln Center.